Puzzling ancient finds have a way of captivating the public, perhaps because it’s just too easy to dream up interesting explanations for how and why things exist. These seven archaeological discoveries have managed to stay hot topics despite their age, appearing on magazine covers year after year and inspiring new theories for their existence along the way. The island’s name comes from Dutchmen who landed here on the first day of the Easter week, in 1722. The Easter Island, or Rapa Nui how local people call it, was discovered by the Dutch seaman Jacob Roggeveen 280 years ago and is the most secluded island on earth � the closest neighbours live 2000 km away. Thanks to its unique geographic location, complete seclusion and a kind of isolation from the rest of the world, the Easter Island is still surrounded with mysteries. One of these is the origin of the local people, which was partly solved by an archaeologists and a traveler Thor Heyerdahl, who swam over the Pacific ocean on a raft and proved that people could get here from South America. 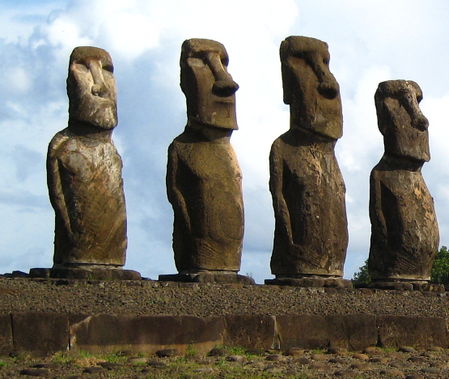 Another mystery is the collection of giant statues that local people call moai. Some of them are 21 meters high and weigh up to 200 tons. 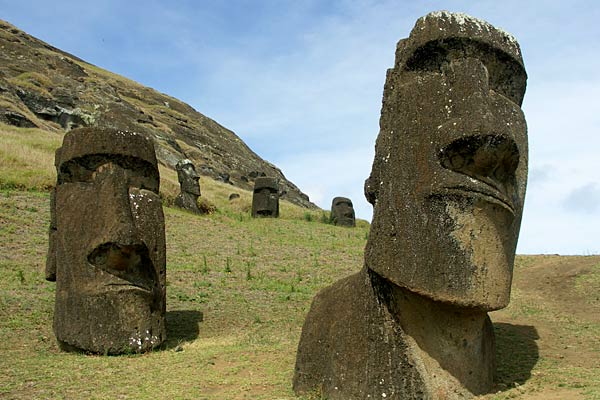 Ancient people believed that moai guarded them and the earth from evil spirits. The main question that researchers faced was how these huge colossi were moved around the island. Archeologists think thast, having a low centre of gravity, the statues could have been installed by men with the help of ropes. 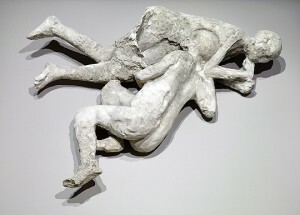 The installation of one statue takes about 2 months and the work forces of 90 people. This one may be a bit of misnomer, since it is not really certain that Atlantis has indeed been discovered. 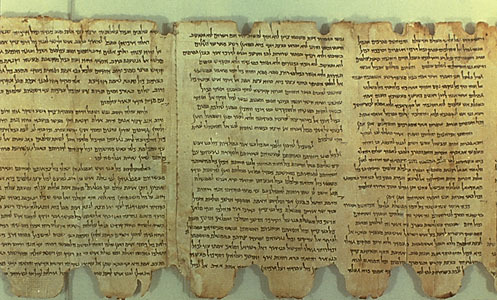 The civilization is known through the documented work of Greek philosopher Plato from 360 BC, yet its exact location remains a subject of debate. The leading contender is the island of Santorini in the Aegean Sea. the mythological island was supposedly a great naval power before sinking into the sea over 10,000 years ago in a catastrophic event. Archaeologists debate the actual historical existence of the island as well as its most plausible location � if it ever actually existed � among the many sunken ruins discovered around the world. But even without definitive proof, Atlantis continues to engage the popular imagination like few other archaeological mysteries out there. Stonehenge is one of the world’s most famous landmarks, and has found its way into modern pop culture as one of the funniest scenes in the movie Spinal Tap. The ring of megalithic stones was built approximately 4,000 years ago and was an impressive feat for the primitive people who constructed it � but that’s about all archaeologists know for sure. 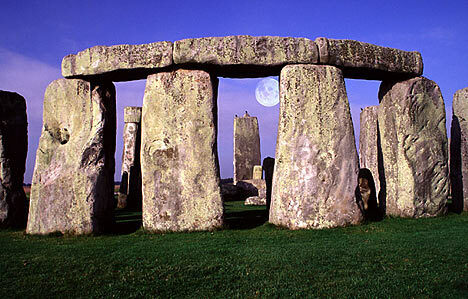 None of the theories on the original purpose of Stonehenge, which range from an astronomical observatory to a religious temple of healing, has ever been well set in stone. 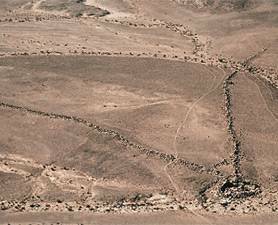 Low stone walls crisscrossing the deserts of Israel, Egypt and Jordan have puzzled archaeologists since their discovery by pilots in the early 20th century. 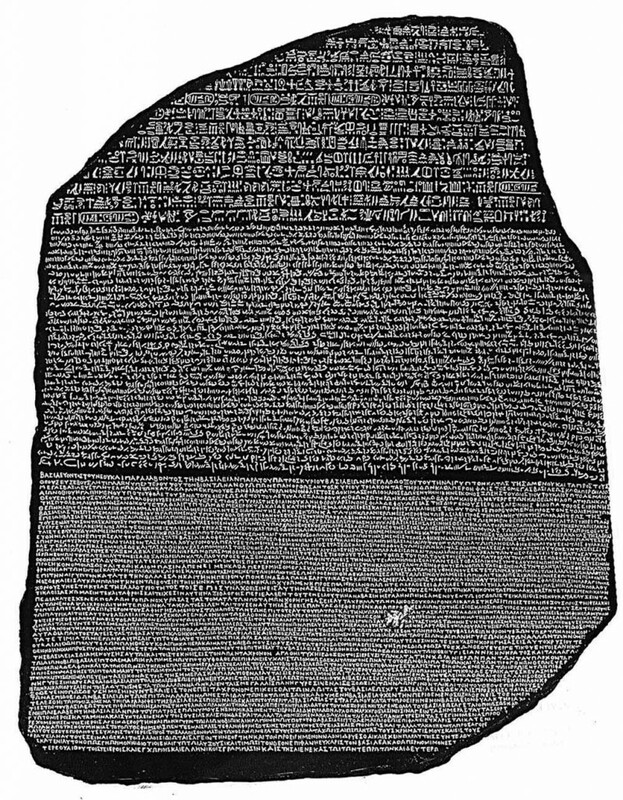 The chain of lines � some up to 40 miles (64 kilometers) long and nicknamed “kites” by scientists for their appearance from the air � date to 300 B.C., but were abandoned long ago. The mystery might be somewhat clearer thanks to a study claiming that the purpose of the kites was to funnel wild animals toward a small pit, where they could easily be killed in large numbers. This efficient system suggests that local hunters were much more sophisticated than previously thought. Like something from a fantastical treasure movie, the discovery of the Antikythera Mechanism remains a major archaeological head-scratcher. Found in the sunken wreckage of a Greek cargo ship that is at least 2,000 years old, the circular bronze artifact contains a maze of interlocking gears and mysterious characters etched all over its exposed faces. 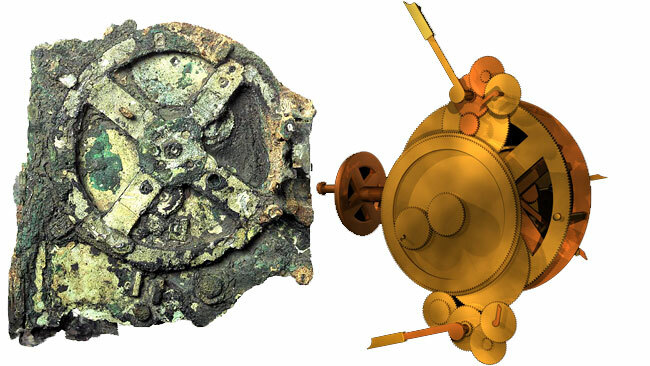 Fragments of the Antikythera Mechanism, left, have now been examined with the latest in high-resolution imaging systems and three-dimensional X-ray tomography. Originally thought to be a kind of navigational astrolabe, archaeologists continue to uncover its uses and now know that it was, at the very least, a highly intricate astronomical calendar. It is the most sophisticated device ever found from that period, preceding the next appearance of similar devices by 1,000 years. From the ground, the Nazca Lines of Peru are nothing spectacular. However, seen from the air, from which they were first spotted by commercial aircraft in the 1920s and 30s, they are staggering. Archaeologists agree the enormous shapes � there are hundreds of them, ranging from geometric lines to complicated depictions of animals, plants and imaginary figures � were made over 2,000 years ago by people of the pre-Inca Nazca culture, who simply removed the red surface pebbles to reveal the lighter earth below in designs of their choice. Just why they did it remains enigmatic, prompting conspiracy theorists to float ideas about alien landings and ancient astrology. 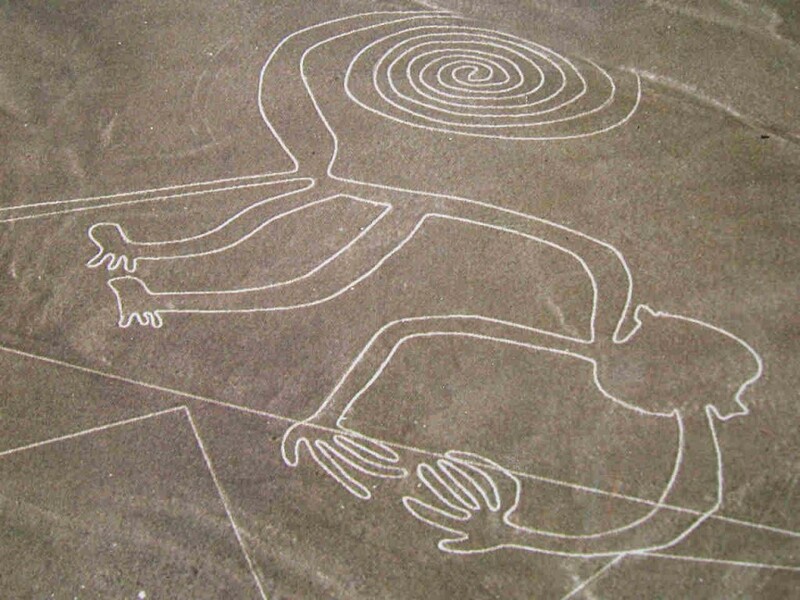 Archaeologists say the lines were more likely to have been a ritual communication method with the Nazca’s deities. 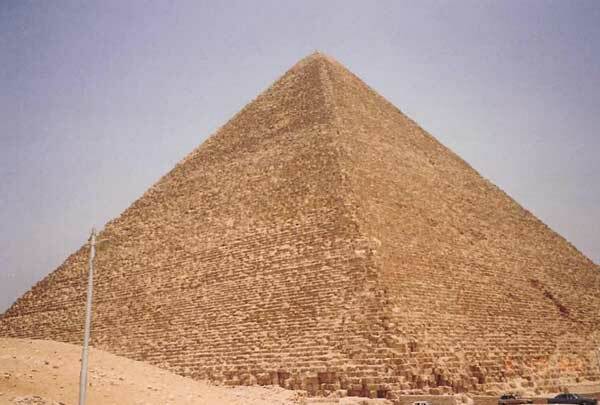 Built almost 5,000 years ago in what is now Cairo, the three-pyramid complex � with the largest, Khufu, dominating the site � is a testament to the ancient Egyptians’ reverence for their Pharaohs and the intricacies of their belief in the afterlife. Archaeologists are still discovering new tunnels and shafts built within the pyramids, and are still searching for clues on who built the great monuments and how these amazing accomplishments were engineered. 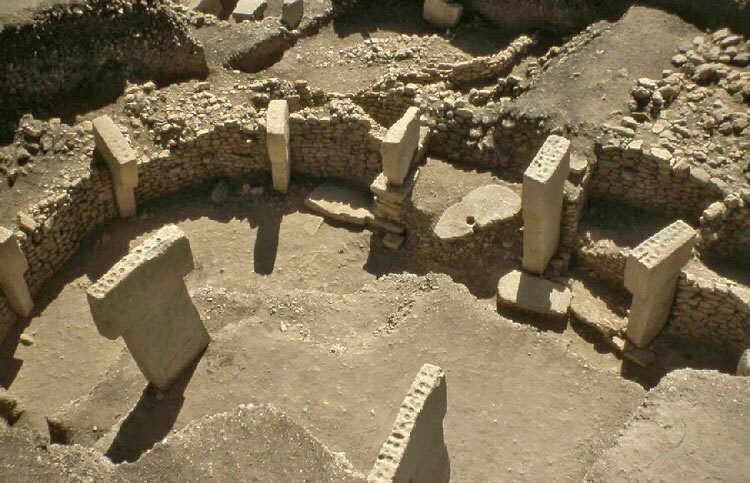 Hailed as the most important archaeological site in the world, the Mesolithic temple of Gobekli Tepe (pronounced Go-beck-lee Tepp-ay) lies part-buried on a hilltop in the arid Anatolian plains of southeastern Turkey, just a few miles from the ancient city of Urfa. But nobody knows who built it, when or why. Archaeologists have carbon-dated the site to 10,000 BC, predating the generally accepted construction dates of the Pyramids and Stonehenge by a staggering 7000+ years. If the identity of Stonehenge�s architects remains a mystery, then identifying the builders of Gobekli Tepe is even more a mystery, because 12,000 years ago we were still hunter-gatherers unable to read, write, fashion pottery or even build a home beyond a makeshift animal-hide tent. And yet Gobekli Tepe displays all the signs of architectural magnificence we associate with Stonehenge and other megalithic structures. Thanks for taking the time to discuss this. Thanks for all the enthusiasm to extend such helpful information on this post. I love to comment on your blog. Woh I love your blog posts, saved to faves — thanks ! Some subscribers just don’t understand, like my friend who couldn’t visualize the real meaning of this section on your article “… existence of the island as well as its most plausible location … if it ever actually …” it also reminded me about the day I came across my husband.